We are a one stop shop. We can arrange the electronics and we fully communicate to insure the exact specification. We will coordinate with mechanical shops so you have one less thing to worry about. 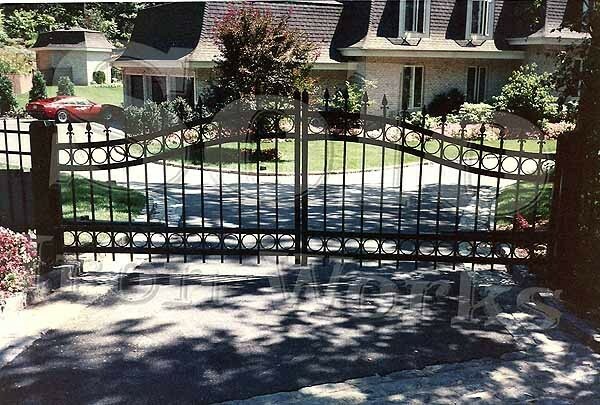 Estate Gates offer privacy and stature to any home's entry driveways. Solo Ironworks offer premeire gates in 'full automatic' gates to the old fashion 'open by hand' gates. Gates offer securtiy when needed or enhance the look of even a simple walkway. Solo Ironworks also provides security in the fabrication of Window Guards. If you can imagine it, we can build it. © 2018 Solo Iron Works LTD.